There is an emerging trend in the lead industry that most lead companies are afraid to discuss because it has the potential to turn the entire industry on its head. Just obtaining a simple real time data lead, with basic information such as phone number and email address, is no longer enough for a majority of lead buyers. More and more business owners are asking for a greater level of service to accompany the basic real time data lead so as to extract the business value from the data. Particularly, there is a growing demand for a live person on the phone that says “I think I may want your services at some rate, can you please tell me more”. In many cases, businesses have come to this conclusion based on their experiences with various lead companies that do not focus on the quality of the lead data. They may generate leads with contests and games, incentified requests or emails and endless page loops which require the consumer’s personal information and agreement to move forward. In addition, these lead companies attempt to lock business owners into prolonged contracts, enforce restrictive bad lead return policies and provide a low level of customer service that makes it difficult to reach anyone after the initial sale. Many lead companies count on the business owner NOT following through, NOT requesting a refund for a bad lead and NOT contacting the leads in a timely basis. They have built a business model on an initial emotional sell combined with a post sales apathy on behalf of an desperate business owner who may be willing to do virtually anything to give their sales a boost. However, this business model is decaying as lead companies are finding it is not financially sustainable as businesses are demanding more help with the data they are receiving. At the same time, consumers are making it more difficult for lead companies to get good data. According to Adobe (June 2013), 82% of global consumers believe that companies collect too much information on consumers. In addition, 86% of US internet users have attempted to remove or mask their online activities, despite only 37% believing it is possible to be completely anonymous online. (Pew Research Center, September 2013). The better Lead Companies are having to spend more time and money than ever to offset these beliefs and behaviors to obtain valid consumer data. To address this situation, what does a lead company do? How does a lead company adapt itself to new changes so it will not become obsolete or face a steady decline in customers? What can the quality-focused lead companies do to improve the industry and maintain their long term viability without having to undergo dramatic change and reinvention? To start, lead companies need to educate internet lead buyers on how to maximize the value of the leads they are buying: that purchasing leads is a just one of many steps required in the process of customer acquisition. The business owner who buys leads must make a commitment to invest resources into contacting and nurturing those leads over weeks and possibly months, until they secure the client. To accomplish this can require a significant amount of resources in the form of time, people and money. Any business buying leads must either allocate internal resources to manage and work the lead flow or partner with a company that can help them facilitate this process. In either case, time and resources must be allocated once leads are purchased in order to turn a lead into a client. Lead companies need to either provide these services or partner with companies that can help in the customer acquisition process. For the long term stability of the industry, lead companies might even have to consider walking away from some types of business. It only hurts the industry and sours people on data leads when lead companies sell to business owners that either do not understand or are unwilling to take the necessary steps to guarantee their own success. 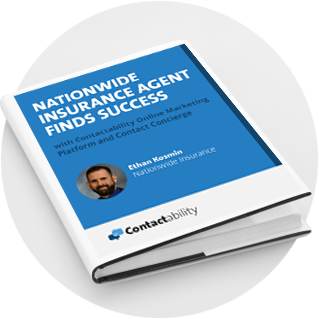 However, the future is not totally bleak as some innovative lead companies have begun to expand their product offerings by bundling leads with calling services which improves success rates. This expanded product set is adding value to the traditional “lead only” business relationship and providing lead companies with more revenue and reduced client churn. At the same time, it is allowing the lead client to gain new customers and grow their business. A true win – win positive outcome. Another significant obstacle lead companies need to address for their customers is managing the large and complex data and information flow by providing tools for tracking lead results and metrics. Without these metrics, business owners are flying by the seat of their pants and do not have the appropriate information to know if they are buying quality leads. More specifically, they may not be able to differentiate between a highly rated lead company and a lead company falling short on quality. When business owners get over sold into purchasing poor leads, it can begin a cycle of distrust and as a result, they lump all lead companies into the same poor quality bucket which hurts the entire industry. Lead companies should track both successes and shortcomings as that provides the level of transparency needed for positive customer relationships. Lead companies that have historically been very good at generating above average quality leads to their customers will in the future need to devote more and more resources to maintain the level of lead quality demanded by our customers. This is no small challenge as the environment we all work in is very dynamic and constantly presenting us with new challenges. As companies address these data flow and quality challenges, they may see the many benefits with partnering with companies that can help their customers track their leads, contacts and close ratios so they can see the value of the quality lead being provided. Often this is done via a reporting system which are part of a larger CRM or Customer Relationship Management system into which lead and work flow information is funnelled.. The last and possibly most important character trait that lead companies need to improve upon is being easier to work with which includes being highly accessible to business owners. 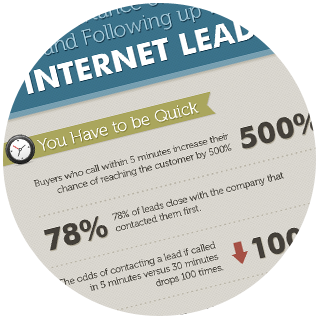 Lead companies should be completely transparent and upfront with the number of times they sell leads. They need to share with the business owners how they are generating the leads and that they are committed to do everything possible to make sure that the business owners are getting the most out of their investment. It is essential for lead companies to have published terms and conditions that are straightforward and possess minimal restrictions. To keep pace with the dynamic changes facing the lead generation industry, business owners should work with lead companies that help them quickly connect with consumers, provide tools for tracking leads and offer easy to understand and flexible business terms. Lead companies need to focus on generating the best converting leads possible and be partnering with companies that can help business owners connect with their leads and provide them the customer management tools they need to be successful. By helping business owners connect with customers, lead companies are moving past their historical business practice of simply providing data to adding monetary value to an expanding business relationship. Without this necessary evolutionary change, more and more business owners will be migrating away from simple data only lead providers.